TEXATHEISTDAD has no current links. Wanting to get started I would like to learn more about this and get started building my own. 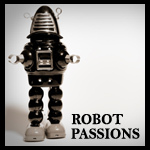 Help us keep Robot Passions free of spam and fake profiles.